Despite all their wit, knights are only as good as the weapons they carry. Make sure that you are carrying one that both serves as an excellent defense and says a thing or two about your prowess and poise. The Hektor LARP Longsword is just the thing. This LARP weapon is made from a specially designed latex-free, injection-molded foam with a strong fiberglass core. This core ensures extreme durability and a degree of flexibility while still keeping the weapon safe for use in LARPing, theater, staged events, and more. The hilt of this weapon follows a sleek, traditionally medieval design, flaunting a straight crossguard and a scent-stopper pommel. 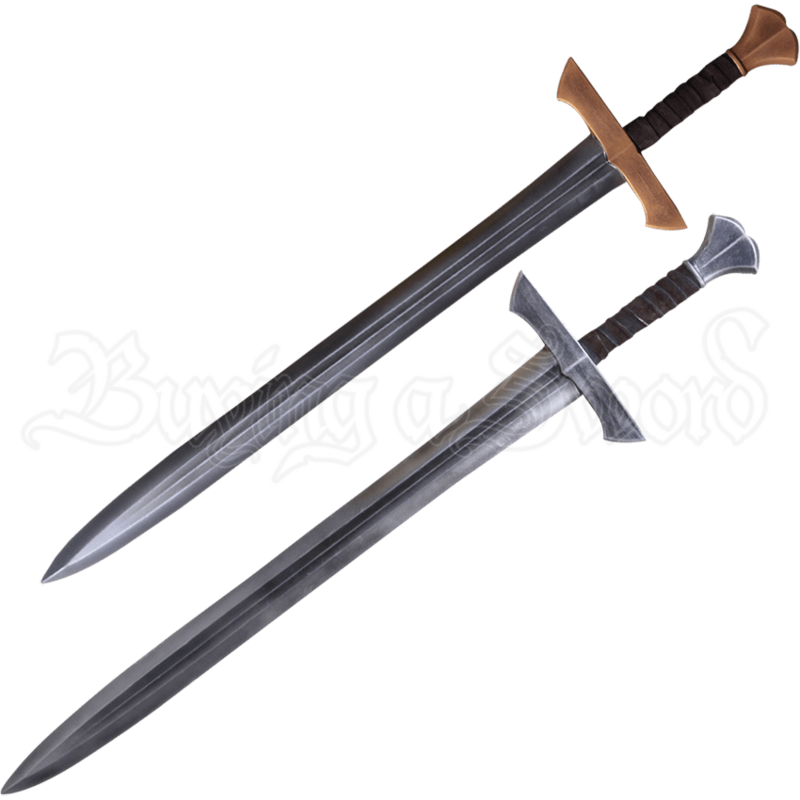 Its handle is wrapped in leather, making it easy to grip, and the two color options - light steel with a grey hilt or dark steel with a gold hilt - give the sword a level of customizability. The Hektor LARP Longsword is a must-have for knights, adventurers, and other medieval warriors.